Former Ivory Coast and Newcastle United player Cheick Tiote has died after collapsing during a training session on Monday. The midfielder was training with second-tier Chinese side Beijing Enterprises, who he joined in February, when he passed out and was rushed to hospital. But emergency treatment failed to revive him, and it was later confirmed that he had passed away. Tiote’s representative Emanuele Palladino said: “It is with deep sadness that I confirm that my client Cheick Tiote sadly passed away earlier today after collapsing in training with his club Beijing Enterprises. “We cannot say any more at the moment and we request that his family’s privacy be respected at this difficult time. A statement from Beijing Enterprises also confirmed the news of Tiote’s death. 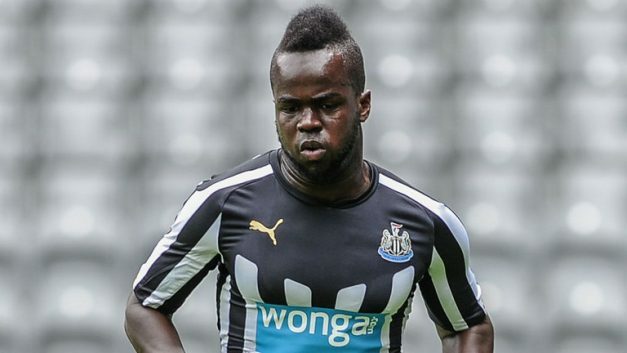 It read: “At 6pm on June 5th, Mr Cheick Tiote fell unconscious to the ground during training. “He was immediately taken to hospital, but unfortunately died at 7pm on June 5th. We have informed his relatives of his death. “After joining Beijing Enterprises Group FC on February 5th 2017, Mr Tiote has made a great contribution to the club and has received plaudits from the coaching staff and team-mates for his superb ability and professionalism. Tiote had been a mainstay for Beijing Enterprises, starting all 11 matches to date this season. On Saturday, the 30-year-old helped his team secure a 4-2 victory against Baoding Ronda. The midfielder started his career in Belgium with Anderlecht and also represented Twente and Roda JC in the Netherlands, as well as making 52 international appearances for Ivory Coast. Different types of noise contaminants might consist of noises generated by plane, trains, watercrafts, automobile website traffic, building, industrial manufacturing, automobile alarm systems or even loud music. Shop for NBA jerseys at the official NBA Store! We carry the widest variety of NBA Jersey Outlet, and Replica NBA basketball jerseys online. Browse for your favorite team or player, for Authentic NBA Jerseys, and youth sizes. Keep checking back for the arrivals of the NBA Nike Jersey!